Water damage is one of the most common forms of property damage found in Santa Clara homes because there are so many ways that excess water can enter your home. Weather conditions such as heavy rain, flooding, and humidity can lead to water damage as well as other factors such as burst pipes, leaks and sewage backups. Regardless of the source, excess water spreads quickly to cause structural damage and mold growth and it must be removed immediately to help limit the extent of the damage. ServiceMaster Disaster Restoration and Recovery provides water damage restoration services for homes and businesses in Santa Clara, CA. 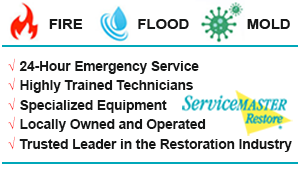 Each of our technicians at ServiceMaster DRR is highly trained to provide water damage restoration services in commercial and residential settings and they have over 35 years of combined experience to deal with any size loss. We can thoroughly remove excess water and moisture from the structural elements, furnishings, and air space of the building to prevent further damage and mold using the most advanced cleaning and drying equipment of the industry. Our technicians are also ready to provide other necessary restoration services such as carpet and upholstery cleaning, content restoration, and pack-outs. Do not use a vacuum cleaner to try and remove water. Do not use an electrical appliance while standing on a wet carpet or floor. Do not walk into rooms that have standing water if the electricity has not been shut off. Do not remove permanent carpeting without professional help because this could contribute to shrinkage. Call ServiceMaster DRR for professional help immediately because water damage will spread and mold can develop within hours. Sometimes water damage can be caused by a sewage backup and when this happens, your home or business is exposed to dangerous elements such as viruses, bacteria E-Coli, and hepatitis in addition to water damage. It is important that the dangerous materials in sewage are removed safely and the area disinfected to avoid illness, infection, and other health problems. The technicians of ServiceMaster DRR are licensed and insured to remove waste from sewage backups as well as disinfect and restore the damage. If your home or building in Santa Clara, CA has sustained water damage from a flood, leak, or sewage backup, contact ServiceMaster DRR immediately at (800) 439-8833 for water damage restoration services. 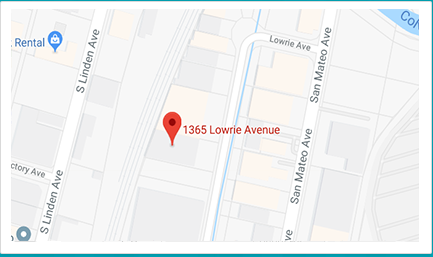 Our technicians will respond quickly to water damage emergencies in the Santa Clara area to restore the damage before it leads to mold growth.